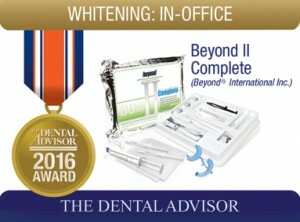 BEYOND Polus Whitening Accelerator with BEYOND II Complete Professional Whitening Kit with Tray Whitening Material is an in-office whitening system designed to whiten within three, 10-minute sessions. BEYOND Polus Whitening Accelerator is a multi-functional, halogen-powered whitening lamp with LightBridge technology (combines halogen and LED light technologies), LED curing light and spot whitening device, and optional low-level laser therapy treatment device. It is indicated for dual-arch whitening; single-tooth whitening is also available. The built-in LED curing light has dual-wavelength output to cure any dental composite. The BEYOND II Complete Professional Whitening Kit with Tray Whitening Material is for single-patient use and is designed to improve oral health while whitening, with a reduced risk of sensitivity. Includes BEYOND II Advanced Formula Whitening Gel which contains 35% hydrogen peroxide and the StayWhite gel which contains 6% hydrogen peroxide. StayWhite is designed to further increase the initial whitening results (one to two weeks after initial treatment) or to maintain the whitening results with a single one hour treatment per month. Special features of the light include three light-output settings (gentle, normal and intense) to meet individualized treatment needs; advanced filtration system designed to reduce harmful ultraviolet and heat output; Touch User Interface (TUI) panel for intuitive programming and treatment tailoring; motorized height adjustment; wireless remote control with a patient call button; and advanced temperature monitor and cooling system. There is a 30-day money-back guarantee and three-year manufacturer’s warranty against factory defect. 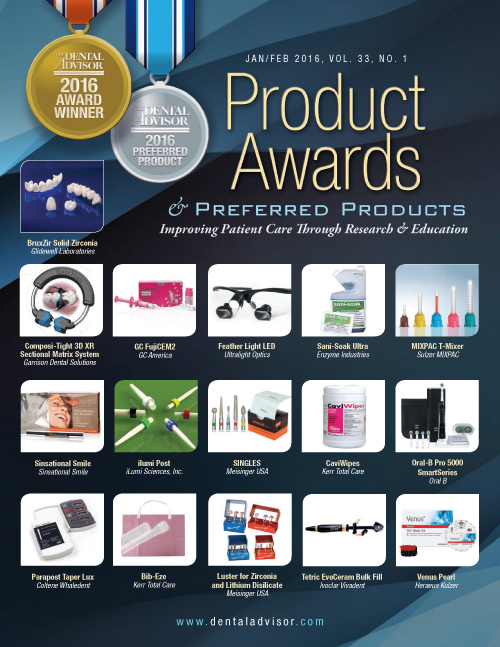 BEYOND Polus Whitening Accelerator with BEYOND Treatment Kits was evaluated by two dental offices in 40 patients. 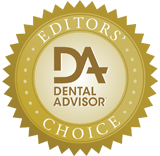 This whitening system received a 98% clinical rating. BEYOND Polus Whitening Accelerator with BEYOND Treatment Kits was rated excellent for ease of use of the light and gel, completeness of the kit, and time of procedure. Consultants reported better than average whitening. BEYOND Polus Whitening Accelerator light is on a sturdy wheeled base and includes some features not found in any other whitening light. The three output settings helped tailor the treatment to the patient based on anticipated level of sensitivity. The articulation of the light head made it easy to position over the patients’ teeth. The BEYOND Treatment Kits were reported to be the most complete kits consultants had encountered – all accessories required for the appointment were included. Most of the patients reported that they did not experience discomfort during the whitening process. Of those patients who did experience some discomfort, they rated it moderate. Average whitening was three to seven shades on the Vita guide with all of the patients reporting that their teeth were whiter. Sixty-seven percent of consultants reported BEYOND Polus Whitening Accelerator with BEYOND Treatment Kits was better than their current in-office tooth whitening system, whereas 33% reported it was equivalent. All consultants would switch to BEYOND Polus Whitening Accelerator with BEYOND Treatment Kits and recommend it to their colleagues. Keep BEYOND II Advanced Formula Whitening Gel refrigerated. Be sure to use the Face Protection Cloths to protect the lips from the light. Give the remote call button to the patient to call for assistance during the procedure. This report was updated in January 2013 to reflect the current configuration of the system. The full evaluation of BEYOND II Complete is available.